Aloha and welcome to Kamaole Beach Royale! Ideally situated in South Kihei, nestled just beyond the sparkling blue ocean and white sandy beach of Kamaole Beach 1, this upper-floor, fully furnished condo is designed to relax and soothe with the endless ocean and mountain view that welcomes upon arrival. This condo is perfect for a family vacation or a couples' getaway. With 2 bedrooms and 2 full bathrooms there's plenty of room to accommodate. Both bedrooms have lush light brown carpet and have been recently painted in hues of the early morning sunrise. Both bedrooms also feature comfortable King-size beds and flatscreen TVs. There's more than enough closet and dresser drawer space for belongings. In the bathrooms, cheery white tile compliments the silvery bamboo-print accent wall and in the showers, hand-held shower heads have thoughtfully been provided. Mirrors and lighting are excellent, and small cabinets available for your toiletries. All linens are provided- including washcloths, bath towels, beach towels, sheets and blankets, and kitchen towels. The all-electric kitchen features all the amenities of home. In-sink garbage disposal, dishwasher, stove and oven, microwave, coffee maker, toaster, blender, refrigerator and ice-maker freezer, and stackable full-size washer and dryer, so clean clothes and linens are available at any time. All pots, pans, place settings, glasses, cutlery and utensils are furnished as well. The spacious living room features extra-long sofa, a recliner and a matching chair, as well as flatscreen TV and DVD player. Free wi-fi, and landline telephone with answering machine are also supplied. Glass-top dining table seats 6 comfortably just off the kitchen. Enter the lanai through the glass etched-design sliding doors, where the impressive beach and ocean view awaits. Relax on the lounge chairs or watch sunset with a glass of wine at the table. Beach equipment is available for use, including umbrella, coolers, noodle, boogie board and chairs. The Kamaole Beach Royale property has many exciting amenities. The 7th floor Rooftop Garden is the BBQ and sunset headquarters. With 2 commercial-grade gas BBQ grills in an outdoor kitchen facility, grilling a steak for dinner is a breeze. There's plenty of dining tables and chairs, and lounge chairs to take in the panoramic unobstructed ocean and mountain views. The property also features a solar-heated, all-tile swimming pool in a garden setting located on the front lawn. Lounge chairs and an outdoor shower accompany the swimming pool. Parking is free and unassigned- since the complex has only 63 units, parking close to the building is a breeze. One parking stall per unit, please. 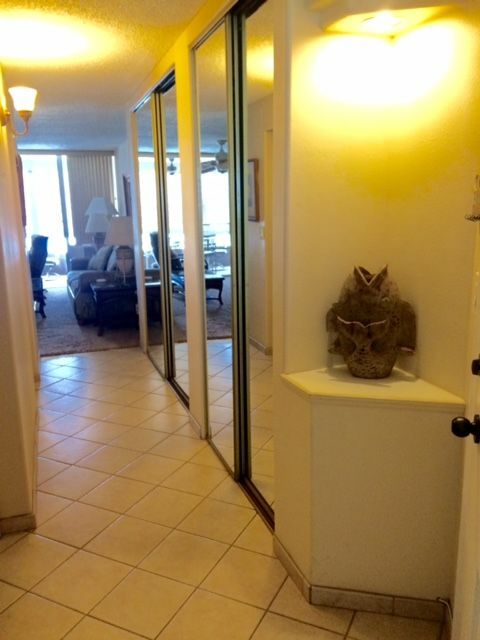 Discover the best of everything Maui has to offer from this conveniently located condo. Rent equipment for beach activities (snorkeling, stand up paddle boarding, boogie boarding, kayaking) right next door. Delight in the many eateries and fine restaurants in the Kihei-Wailea area. Find the perfect gifts for family and friends back home from the numerous knick-knack souvenir stores and gift shops. The office managers are friendly and helpful, and knowledgeable on Maui. Close enough to hear the surf! Bird's eye view of gorgeous Kamaole Beach 1. Being 6 floors up, the view is glorious- West Maui Mountains and islands of Lana'i and Kaho'olawe are in sight as well. View of Haleakala from back bedroom; West Maui Mountains visible from living room and lanai. ceiling fans throughout the unit also. Additional dining is available on the 7th floor Rooftop Garden, with 2 gas BBQ grills, plenty of dinner seating and sweeping, panoramic views. Lending library is available downstairs in the Aloha Room. Public oceanside tennis courts available nearby at Kalama Beach Park. Also has basketball courts and skate park. Master bath has large shower with railings and hand-held shower head. This condo is situated within walking distance to plenty of dining, activities, beaches, shopping and sightseeing! Just 300 steps from Kamaole Beach 1, one of the nicest swimming and snorkeling beaches on Maui. The beach park features lifeguards, picnic tables, showers and restrooms. Sandwiched between a coffee shop, ABC (convenience) store, natural foods store, beach equipment rental shop, sushi restaurant, and hair & nail salon, this condo has it all. 5 nights minimum stay. Hawaii Tax rate is 14.42%. 10% discount given on stays of 30 days or longer. Please call 800 421 3661 for reservations.